For the first time in plastic available! With the support of Custom-Scale and Uschi van der Rosten, as well as the kind permission of Faun, we are pleased to announce our latest and most ambitious Das Werk project: The Panzertransporter Faun L900 with the matching Sonderanhänger 115 in 1:35 scale! 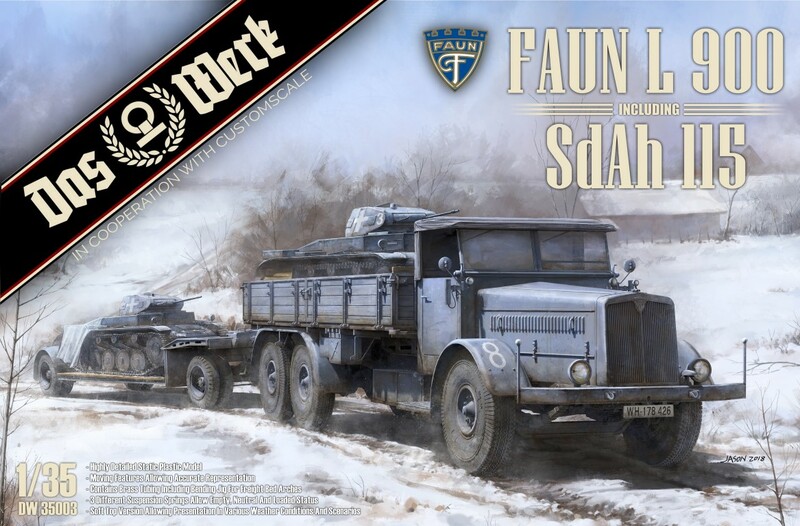 Hardly a vehicle of the German Wehrmacht was so often desired in the past like this one. We want to fulfill this wish now and bring this new development on the crafting tables. The FAUN L 900 was made for the German Wehrmacht between 1937 and 1939 and was used on various fronts during the Second World War. 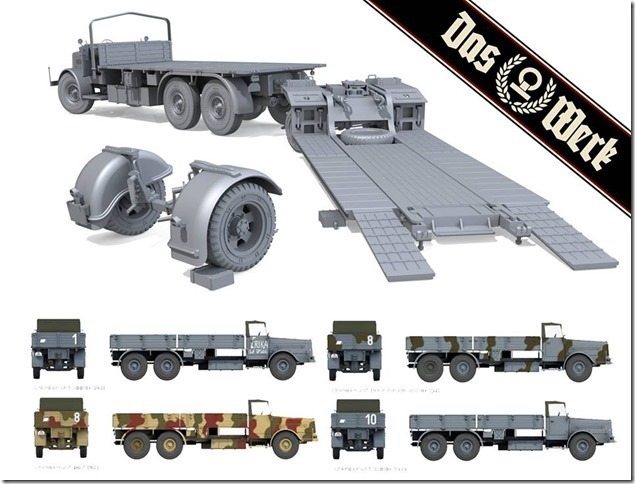 The set contains the towing vehicle and the associated special trailer (Sonderanhänger). 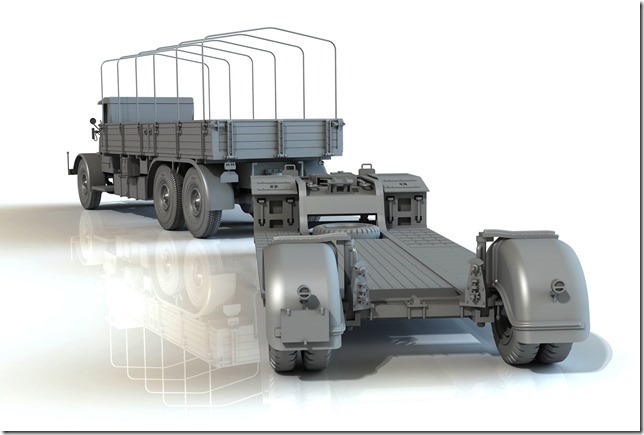 You can build the axles of the truck in three different loading conditions. These would be „Unloaded“, „Neutral“ and „Full loaded“. 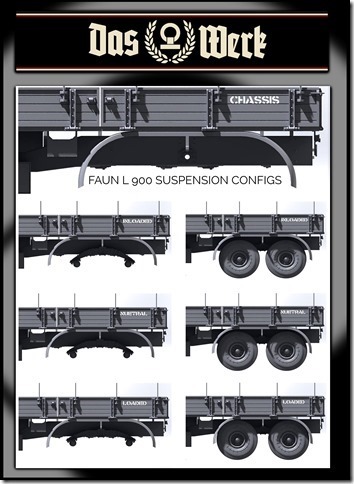 In addition, the rear axle of the trailer can be built disconnected. Ladebordwand und die beiden Laderampen sind beweglich. Die Türen des Faun können geöffnet, sowie geschlossen dargestellt werden.